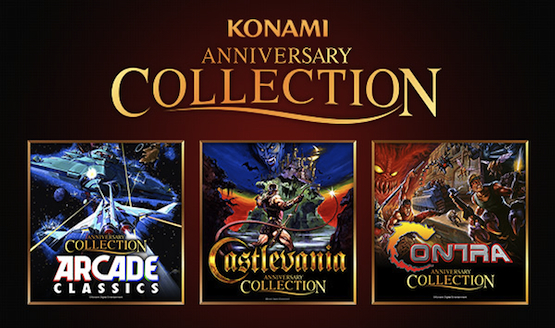 Konami will be unleashing its classic titles on three PS4 with three separate anniversary collections: Castlevania, Contra, and Konami’s Arcade Classics. All three will only be available digitally. And four secret titles that have yet to come out of the coffin. The Contra Anniversary Collection will come with an eBook too, but we do not know what that will entail. The eBook will come with developer interviews, sketches, and design documents that have never been seen outside of Konami offices before. The documents will include music scores, hand drawn sketches, and concept sheets. 2019 marks Konami’s 50th Anniversary, and these collections will help celebrate the video game company’s vast history, despite recent setbacks like the mediocre critical response of Metal Gear Survive. However, one of our writers Tyler Treese gave it a positive review. Are there any classic Konami arcade games that are missing? What do you think the mystery titles will be for the Castlevania and Contra collections? Which games are you hoping for?